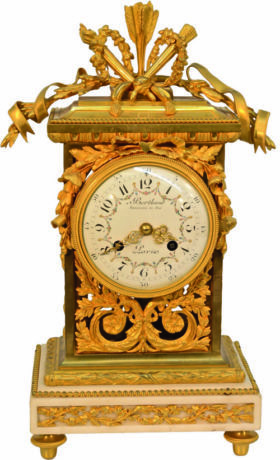 This elegant French regulator mantel clock is done in fire gilt brass with a Carrera marble base, and features a convex porcelain dial. 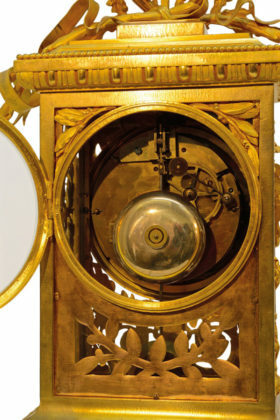 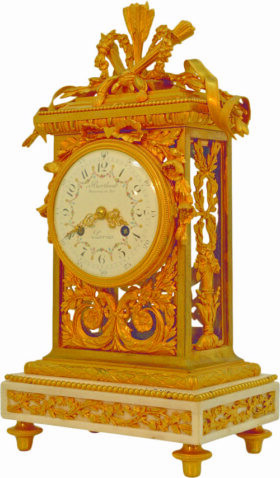 This clock houses an 8 day movement with bell strike and is signed Berthoud, Horologer Du Roi, Paris. 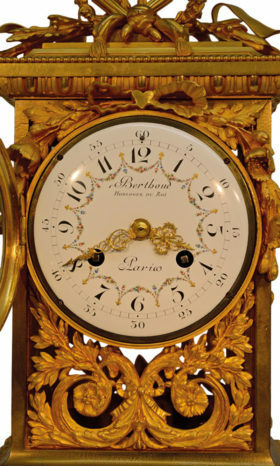 Signed "Berthoud Horologer Du Roi Paris"